Want to Be at the Forefront of the Brain Plasticity Revolution? 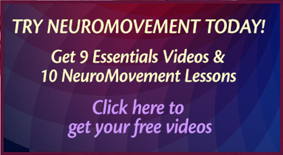 Begin an Exciting Career in NeuroMovement®! A revolution in the area of brain plasticity is currently taking place, with the discovery of the remarkable capacity of the human brain to change itself for the better. Anat Baniel Method® (ABM) NeuroMovement® is at the forefront of this revolution, helping to make the seemingly impossible possible with thousands of children with special needs, and adults of various ages from professional athletes to people with chronic pain and other injuries. If you are looking for an exciting, life-changing opportunity and want to be at the forefront of this brain plasticity revolution, the Anat Baniel Method® Practitioner Training Program will provide you with the knowledge and tools for success. go beyond traditional therapy programs and help people transform pain and limitation into real-life possibilities using innovative techniques based in brain science, movement, physics, and human connection. “The Nine Essentials were brilliant. These can apply to everything in life. 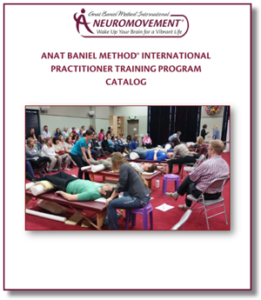 Anat Baniel Method International (ABMI) offers a NeuroMovement® Practitioner Training Program that combines online learning segments with in-person class time, allowing completion of the program within approximately 14 months. You will work directly with Anat Baniel and her outstanding team of teachers to learn the techniques that have led to her world-renowned reputation as a gifted teacher and healer. With an elegant balance of practical and theoretical learning, Anat and her ABMI faculty provide the path for trainees to become successful ABM Practitioners. Each trainee is challenged to learn and transcend limitations in a supportive and empowering environment. The ABMI Training Program is designed to deliver exceptional outcomes for our future ABM NeuroMovement® Practitioners. Learn more about how the Anat Baniel Method International Training can enrich all the aspects of YOUR life: View more videos of our students and graduates sharing their training experiences. NeuroMovement® is the key to overcoming pain and reaching new levels of health and performance. In our training program, you will learn practical applications of the remarkable capacities of the brain to change itself for the better—applications you will not find anywhere else. You will also transform your own pain and limitation—physical, emotional, mental, or spiritual—into well-being, vitality, and magnificent possibilities transcending what you, or others, believe is possible for you. Want To Be on the Cutting Edge?